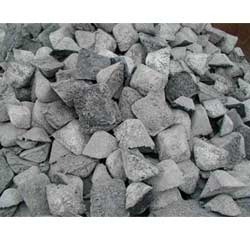 We are one of the reputed organizations engaged in manufacturing & supplying a wide range of Pig Iron. These are highly demanded by our clients. The firm, Royal Trading came into existence as a sole proprietorship business concern in the year 2011. We are amongst the most promising manufacturers and suppliers of the market, engaged in offering a vast array of products such as Brick, Industrial Pipe, Coke & Iron, Building Accessory, Coil & Sheet and Ferro Alloy. The products manufactured by us are widely demanded and acclaimed in construction industry for their unsurpassed quality standards and exceptional features like rugged construction, dimensional accuracy, precise designs, high tensile strength, reliability, long service life and corrosion resistance. Further we also engaged in supplying Industrial Scrap. These products are produced by us using quality tested materials, which are sourced from the reliable and trusted vendors of the market. We follow prescribed industrial guidelines in our manufacturing process, in order to ensure high-end quality in our manufactured products. We also offer these products in customized forms to the clients as per their specific needs and requirements.